Considering that I have zero pancake recipes on DYEP as of this writing, I think it’s pretty clear that I favor waffles. But, from a cooking at home standpoint, waffles are way better. They’re so much easier to make! 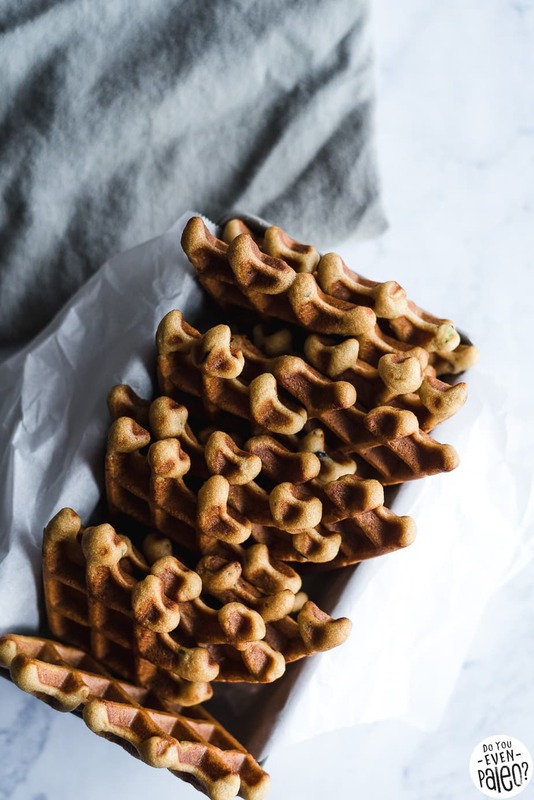 Assuming you have a waffle iron, all you have to do is drop the batter in that sucker and let it work its magic to form a stunning work of pastry art while cooking both sides AT ONCE. 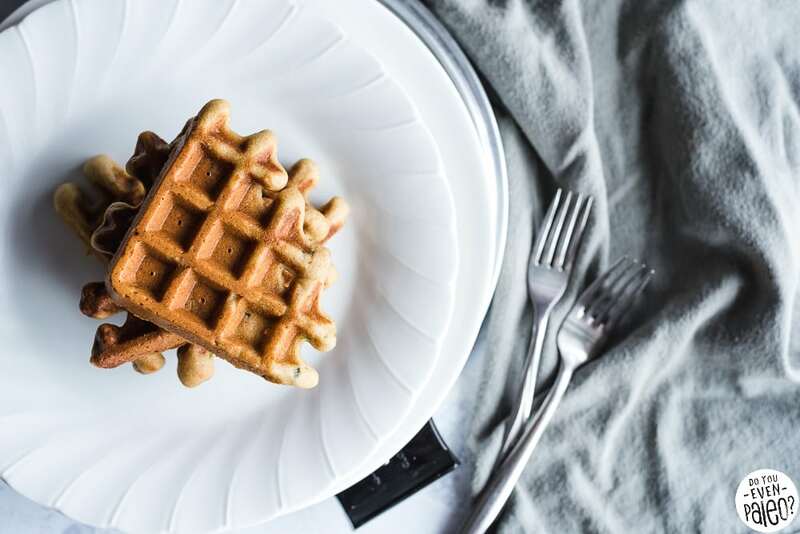 Heck, most waffle makers are designed to automatically notify you when your waffles are done to your liking. With pancakes, you have to pour the batter into careful, perfect circles (that is, if you want to compete with the perfection that is waffle ridges) and then carefully watch, spatula in hand, ready to dive in and flip at the perfect time. Too soon, and your pancakes fall apart and everyone laughs at you. Too late, and your pancakes are too tough on the outside and not nearly fluffy enough. An excessive amount of work. 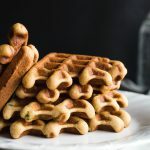 Favorite use for these paleo cornbread waffles? Waffles Rancheros. Highly recommended. Grab the recipe for Paleo Waffles Huevos Rancheros here! But you can eat these savory waffles however you’d like, so I decided to keep the recipe separate from my spin on huevos rancheros. 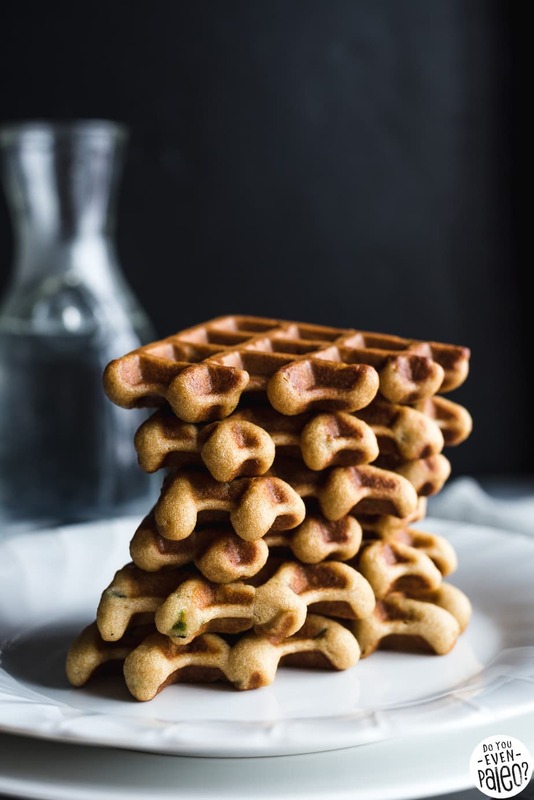 I’ve snacked on these cornbread waffles plain, crafted epic breakfast sandwiches out of them, and drizzled ’em in classic maple syrup. They’re good waffles! I dig the flavor of jalapenos in every bite. 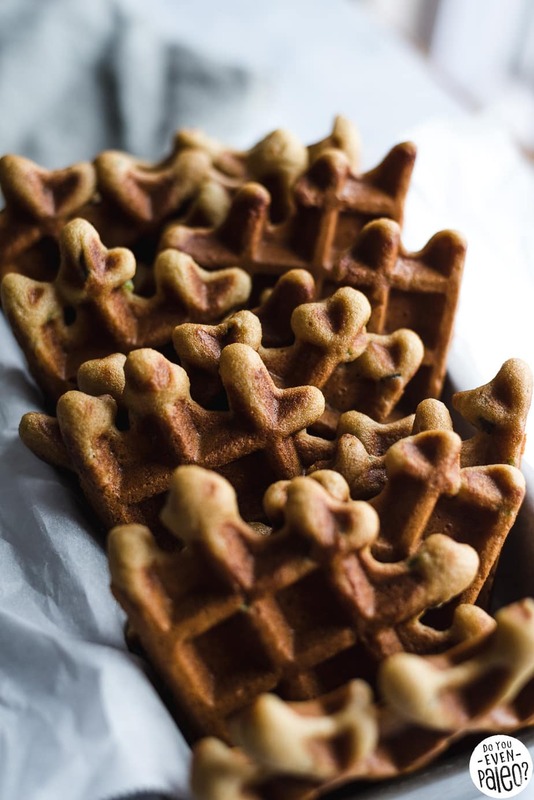 No, these waffles aren’t spicy… but those jalapenos definitely add a little boost of flavor. Thanks to the honey, the waffles are slightly sweet, too. Sweet cornbread with smoky jalapeno. Mmmm! 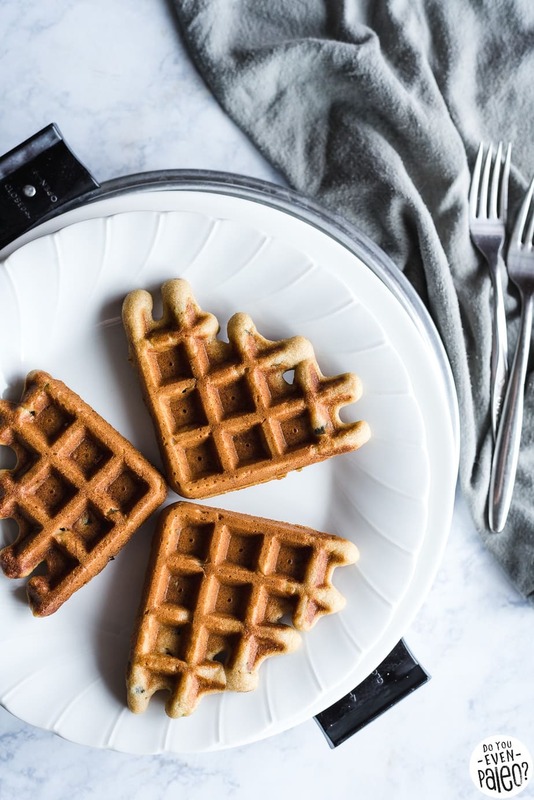 I’m going to have to bust out my waffle iron again! Add almond flour, cassava flour, baking soda, and sea salt to a large bowl. Mix together until uniform. Separate egg yolks from egg whites. Add the egg yolks, almond milk, ghee, and honey to the dry ingredients and stir until smooth. Whisk the egg whites by hand or use an electric mixer until stiff peaks form. Add the whipped egg whites, diced jalapeno, and diced red onion to the batter and stir just until incorporated. 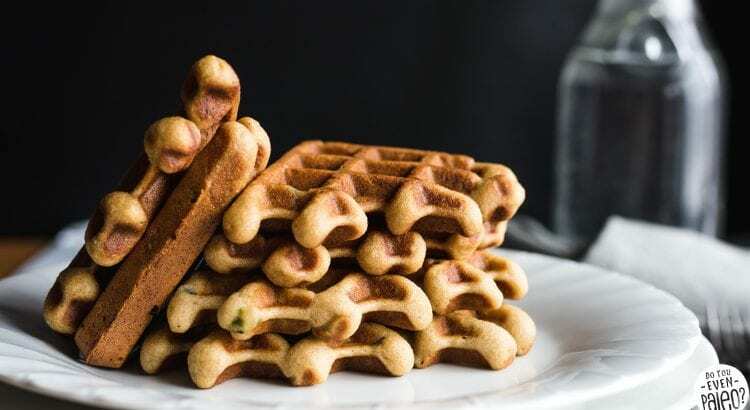 Cook the waffles using your waffle maker’s instructions. My waffle maker doesn’t have an automatic timer, and each waffle took roughly 4-5 minutes until done. Don't subscribe All Replies to my comments Notify me of followup comments via e-mail. You can also <a href='https://www.doyouevenpaleo.net/comment-subscriptions/?srp=3961&srk=87505361eee98908ddf6ccb8681f50d6&sra=s&srsrc=f'>subscribe</a> without commenting.